Every surface we touch has its own unique chemical properties. It's because of these properties that some materials stick to surfaces, while others slide off. For a person, a sticky surface may be a minor annoyance, but for a bacterial cell, surface attachment can be a matter of life and death. Bacteria have evolved their own surfaces to be sticky, like Velcro. When bacteria colonize a surface, they create a community called a biofilm, which can be a source of infection on medical devices or implants. Growing concerns over these infections has led a number of researchers to develop materials to block these sometimes dangerous films. 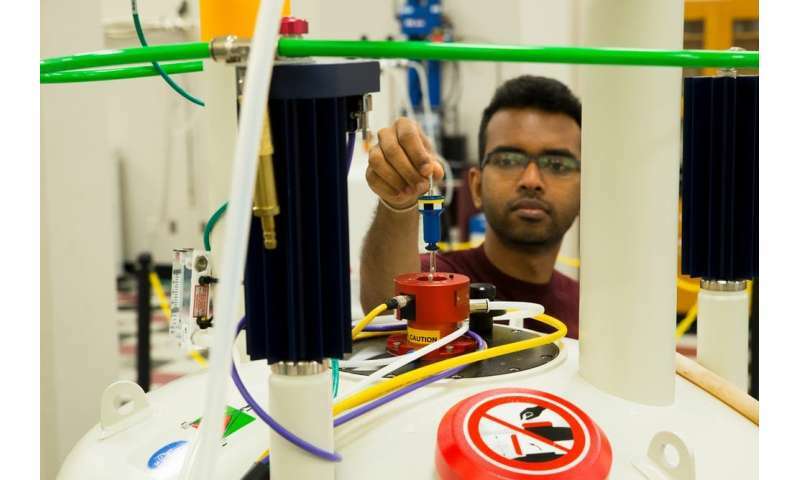 As biophysical chemists, my research group and I are trying to understand the molecular forces that allow biological molecules – like those on bacteria – to attach to surfaces during the earliest phases of biofilm formation. 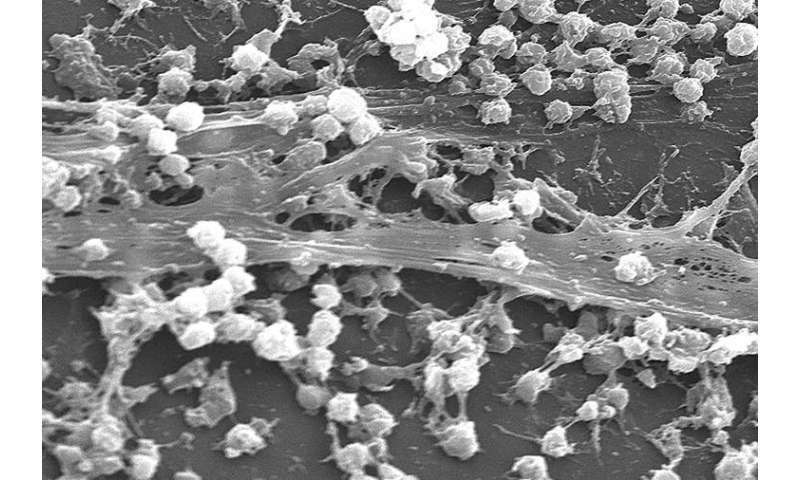 By understanding this early attachment stage, we can reduce the risks that a biofilm will form on implanted medical devices and pose a threat to humans. 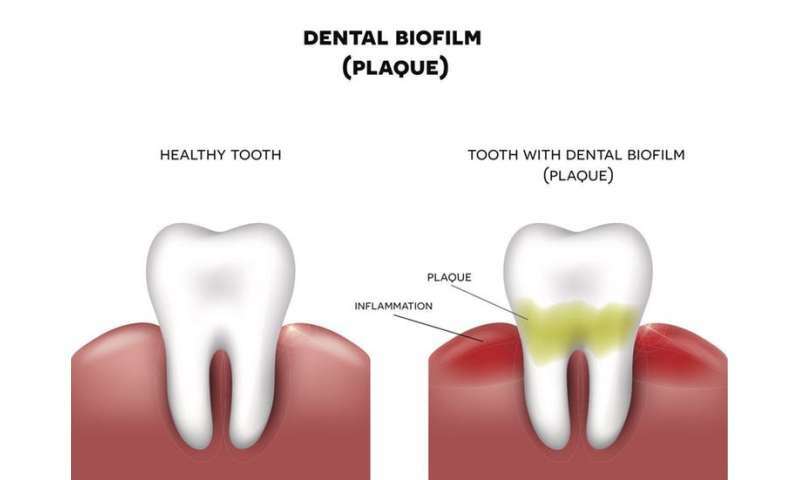 Biofilms are densely packed communities of bacteria or other microorganisms living on a surface. Like a city, growing within a biofilm has certain advantages. For example, it provides structural support, like the floors of a high rise, and microbes can share nutrients. Compared to free-floating bacteria, bacteria in a biofilm are shielded, allowing them to evade our immune system and resist antibiotics. When biofilms form on medical devices or implants, they can serve as a persistent source of hard-to-treat infections. These cost not only billions of dollars to treat, but claim thousands of lives each year in the U.S. alone. 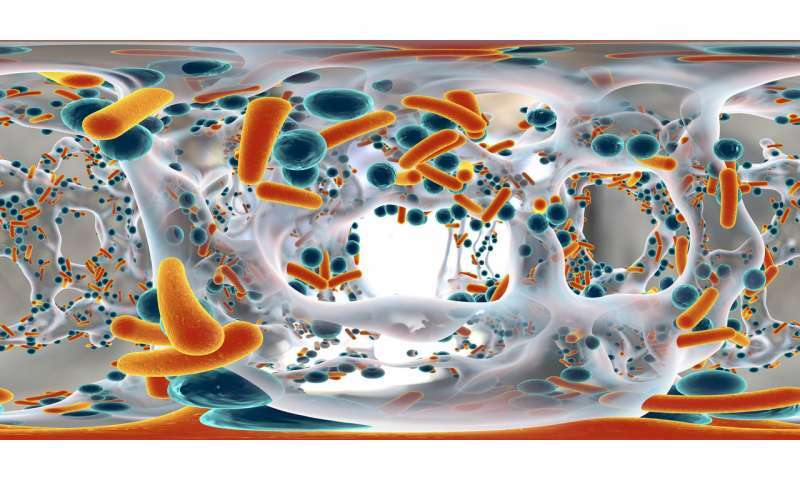 Scientists are trying to understand how biofilms form and how to prevent them. Molecular biologists are working out how bacterial DNA encodes for the machinery that allows cells to attach to surfaces and one another. Microbiologists and medicinal chemists are looking for drugs that can penetrate and disrupt biofilms. And biophysical chemists like myself are trying to sleuth out the molecular interactions that make these biofilms challenging to prevent. Staphylococcus aureus and S. epidermidis are two bacterial species that normally pose little problem for our bodies. However, when a staphylococcal biofilm forms on the surface of a medical implant like an artificial hip, these cells can cause disease. Staphylococcal biofilms are held together by sugars or polysaccharides, proteins and nucleic acids, the molecular building blocks of all living organisms. These components enable the bacterial cells to stick not only to each other, but also to natural and implanted surfaces in the body – like a heart valve. The surfaces of medical devices are complex, especially once they have been exposed to the body. Human blood proteins rapidly coat the surface of medical implants, altering the character as both the patient and the device age. When a bacterial cell attaches to one of these surfaces, the components of the cell interact with the surface of the medical implant, forming a complex network of interactions. In our research, we are investigating the bacterial surface proteins that are involved in surface attachment. Studying these interactions is challenging. Typically, chemistry experiments are carried out in solution, but biofilm experiments must be done on a surface. Detecting the molecules at the surface is a challenge. That's because there are fewer of those molecules compared to the overall volume of the material, just as the skin of the tomato is tiny fraction of the mass of the entire tomato. To overcome this limitation, we are investigating how proteins present on the bacterial surface interact with nanoparticle surfaces. Specifically, we are using nanoparticles designed to mimic the surface of medical devices, and we are targeting proteins involved in staphylococcal infections, a major source of hospital related illness. Nanoparticles have a diameter much smaller than a bacterial cell. But while a typical cell would dwarf a nanoparticle, the nanoparticle is still much bigger than the molecules on the surface of a cell. By using many nanoparticles it is easier to observe how the bacterium and particle interact and observe the bacterial molecules involved in biofilm formation. Specifically, we are trying to understand the structure and orientation of proteins on different types of surfaces. While we are not the first or the only group to be interested in this topic, our work has begun to reveal the molecular details of how proteins interact with nanoparticle surfaces. We can probe how tightly the bacteria are clinging to a surface – and we can examine how protein molecules compete for the same surface. For example, given a collection of bacterial proteins, which of these will ultimately attach to the surface of a medical implant? As we discover the answers to these questions we will be able to identify the important elements involved in early biofilm formation. This will be useful for scientists attempting to inhibit those interactions therapeutically, or those seeking to design new biofilm-resistant surfaces.